There are some key areas that work on submarine telegraphy tends to focus. These include the technical aspects of the cable which looks at the science behind the invention, application and development; this works spans from nineteenth century work up to more modern titles. It is for these sorts of works that I believe the sections of submarine cables still held at museums have been predominantly used for; they are records of the materials and techniques used over the course of the submarine telegraph industry. A more recent, but very popular, area of work looks at the political and imperial aspects of the cable i.e. how policy and empire was affected by the cables or vice versa. 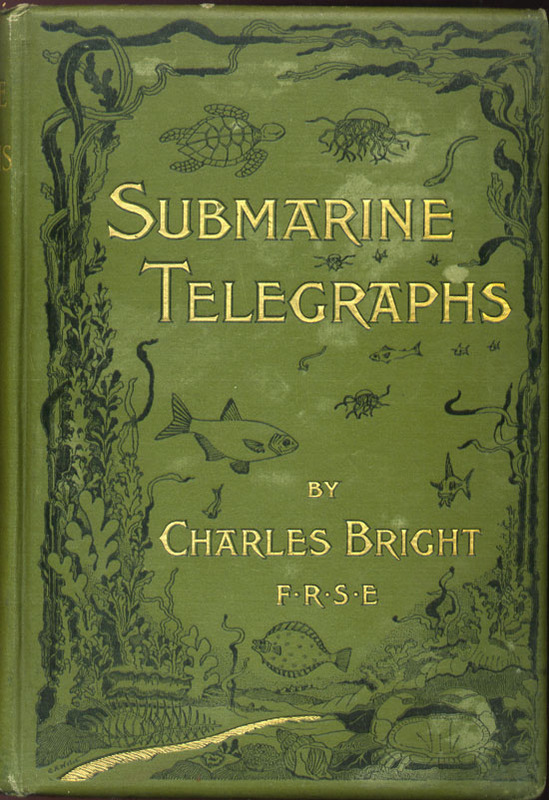 Themes of empire and technology seem to have grown and developed of the years, and it is interesting that I have found one of the earliest examples of this sort of work, Kennedy’s ‘Imperial Cable Communications and Strategy, 1870-1914’, one of the most informative of the relationship between the British Government and the submarine telegraph. Another strong body of work are the narrative histories of cables and biographies of dominate players; these histories tend to focus on the most famous cable, the Atlantic cable and have been written since the cable began to be laid in the latter half of the nineteen century. In recent times the subject of the submarine telegraph cables has been revisited by other disciplines, appearing to become increasingly relevant to the modern world reliant on fiber-optic submarine cables for transmitting information around the world. Cultural aspects are touched on in some of the above works, but it on the whole the history of submarine telegraphy has been untouched by postmodernism. There are a couple of exceptions which includes Gillian Cookson’s paper given at the Science Museum in 2006 entitled ‘Submarine Cables: Novelty and Innovation, 1850-1870’ in which the theory is argued that by 1870 the submarine telegraph was no longer a novelty to the public or commerce. There have also been some interesting avenues of research in an overlapping area of study, the regular overland telegraphy. I. Rhys Morus’ ‘The Nervous System of Britain’: Space, Time and the Electric Telegraph in the Victorian Age’ looks at the imagery associated with the telegraph and consequential meaning, suggesting that the embodiment of the telegraph through nervous system metaphors underlines its intelligence and speed but also suggests a system of management and a network of surveillance and discipline. R. Menke’s Telegraphic Realism: Victorian Fiction and Other Information Systems takes an alternative route of looking at language by using Victorian fiction as the starting point. 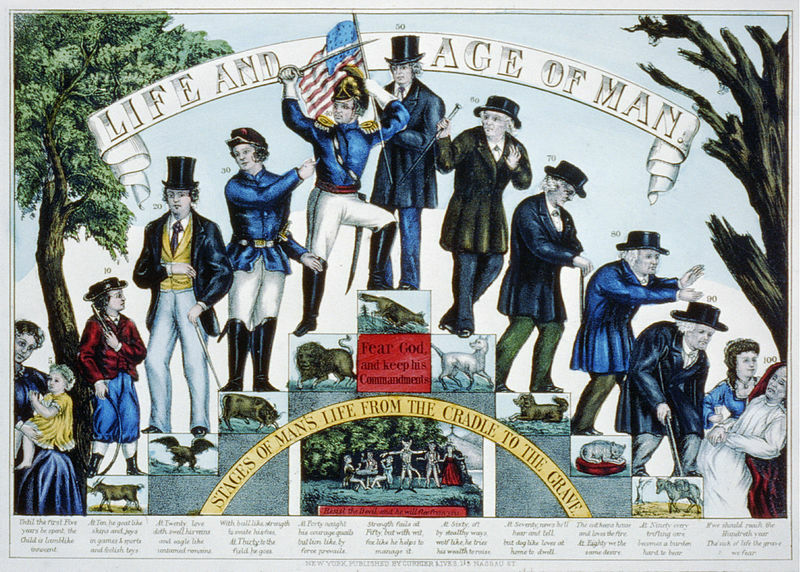 Menke uses the idea of Media Ecology, the concept ‘a culture’s range of technologies and codes of communication dramatically shape and are shaped by human experiences, thoughts and values’, to suggest that the Victorian idea of networks stemmed from the natural structures and so was then translated to technical structures, also the increase in data available through the telegraph helped develop the idea of information instead of knowledge. These are features that can be seen in Victorian fiction, though Menke also points out that though Victorian novelists, like Dickens, were interested in the technology it was only from the 1860s and 1870s people ‘begin to imagine the fictional possibilities of electric telegraphy’. This appears to be a growing area of study as I noticed at a workshop held by the Commodities and Culture network on ‘Commodities in Motion’ in July 2010 Clare Pettitt gave a paper entitled ‘The Telegraphic imaginer: Scrambled Messages in the 1860s’, that explored the forms of address and authority constructed by the technologies of the telegraph and the realist novel in the 1860s and 1870s, considering ‘the ways in which both proclaim themselves as representative of an ultimately knowable world susceptible to infinitely connective network’. Clearly the themes of imagery, representation and metaphor with regards to submarine telegraphy have only begun to be explored by historians, and as I am mainly focusing on objects these areas are central to my work. G. Cookson, The Cable: The Wire that Changed the World (Wiltshire, 2003); B. S. Finn, Submarine Telegraphy: The Grand Victorian Technology (Margate, 1973); J. Steele Gordon, A Thread Across the Ocean: The Heroic Story of the Transatlantic Cable (Bath, 2002); S. Carter, Cyrus Field, Man of Two Worlds, (New York, 1968); B. Dibner, The Atlantic Cable, (Norwalk, 1959). E. J. Malecki & H. Wei, ‘A Wired World: The Evolving Geography of Submarine Cables and the Shift to Asia’ in Annals of the Association of American Geographers vol. 99 (2009) and M. Sechrist, ‘Cyberspace in Deep Water: Protesting the Arteries of the Internet’, in Harvard Kennedy School Review, vol 10 (2009-2010) are good examples of articles written in the past two years looking at modern-day cables with reference to the Victorian invention. Earlier in the week I went to a ‘London in Fiction’ event at the Bishopsgate Institute, first in a series that invites writers of varying genres to look at some of their favourite works of fiction based in London. The event was appropriately held in the Bishopsgate Library, a beautiful and atmospheric venue. Co-hosted by the website ‘London Fictions‘, and similar to the website the event was hosted by Andrew Whitehead and emphasised an inclusive atmosphere, encouraging an open discussion from the audience on their thoughts and feelings on the works. Under the theme of ‘Unruly City’ the three works under discussion were Joseph Conrad’s The Secret Agent, presented by historian and writer, Alex Butterworth, John Sommersfield’s May Day, presented by poet, Andy Croft, and Colin MacInnes’ Absolute Beginners, presented by author, Jake Arnott. With three different presenting styles and backgrounds the three presenters were excellent at contextualising their chosen work and highlighting the core themes without giving away too much of the plot. As much as this was an event for those who had read the books to celebrate them and discuss interesting points raised by the authors and events described, it was also an event to discover new works and explore litteraty avenues you may not have been down before. Through Alex Butterworth’s presentation I’ve become even more intrigued as I learnt that Conrad’s connections and networks were such that much of the novel could have been based on fact rather than his imagination. It also added Butterworth’s book, The World That Never Was: A True Story of Dreamers, Schemers, Anarchists and Secret Agents, to my reading list. The last book I was ashamed to say I hadn’t read, especially as it is set in the area I grew up and currently live, North Kensington, and climaxes on the Notting Hill riots. Absolute Beginners is with out a doubt an iconic book, even making it on to the Guardian‘s list of the ten best books set in London. The narrator is a nameless photographer and, as well as celebrating the rise of the teenager in 1950s London with their strict tribal dress codes and slang, it also celebrates the multicultural nature of London. There is a great review on the London Fictions website, the only one of the three books featured on the site as yet. 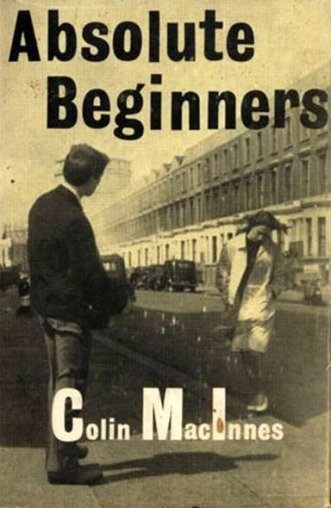 Arnott argued that through Absolute Beginners MacInnes defined subculture long before any sociologist, demonstrating the different spheres of culture and cultural identity the Mod teenager was able to move through. A remarkable achievement, made even more remarkable when you realise the author was in his forties when he wrote the novel using the voice of an eighteen year old. Overall the evening was enlightening, and gave me a chance to discover literature as a worthy microscope through which to examine historical themes. It also helped underline the presence of the author in a novel, but also the significance of place. London acts as a distinctive character in each of these works, and not only by the name check of London landmarks, but also by the atmosphere created, they could not be set anywhere else. Well if you think this sounded interesting and what to go to any of the other events in the ‘London in Fiction’ series, the ‘London in Peril’ series, or any event at the Bishopsgate Institute, see their website here. Also London Fictions website encourages readers to contribute reviews on any books you love set in London town. See here for more info. Finally if you’re interested in anarchists you might be interested in my previous post regarding the Sidney Street Outrage, here. Now excuse me, I have a lot of reading to catch up on….